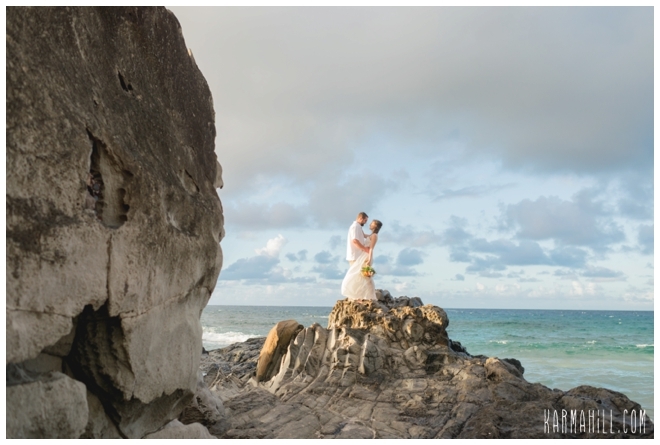 After arriving by limo, Kristen and Cody enjoyed the North shore breeze upon their faces as they made the leap into happily ever after. 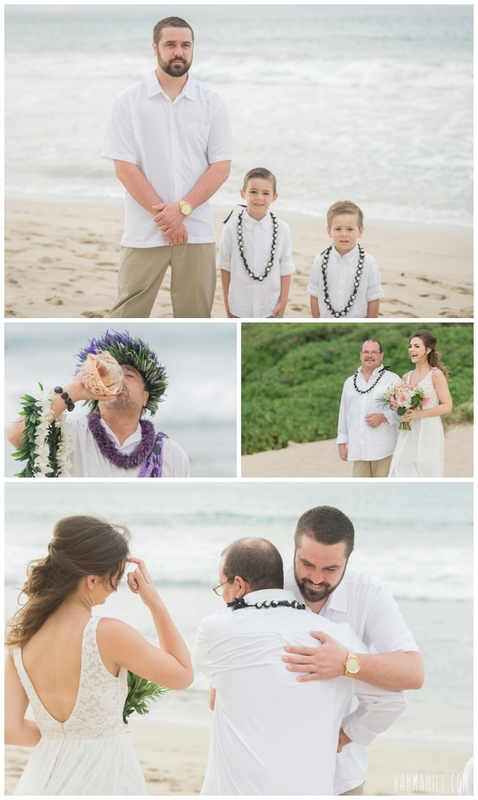 Standing strong with his sons, Cody was the picture of eager anticipation while Kristen practically floated across the sand on her dad's arm. 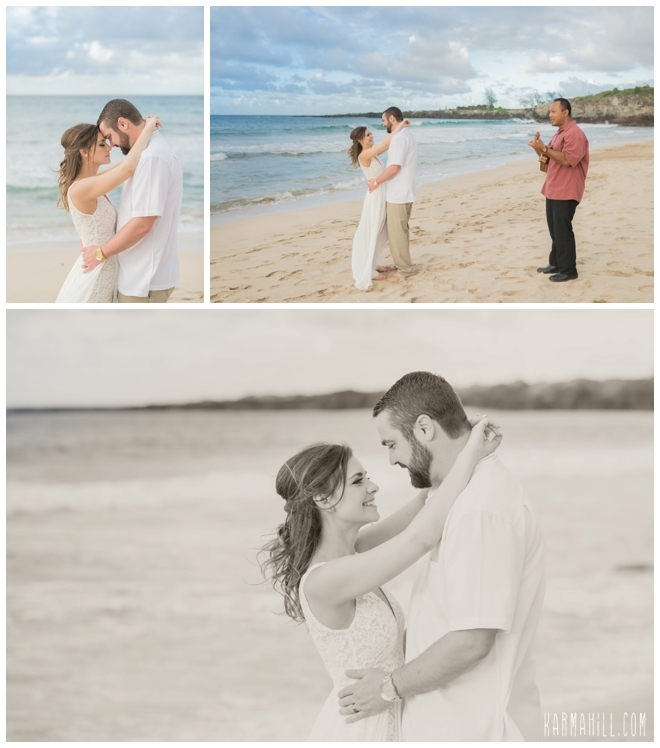 He entrance song was perfect because it embodies the promise these two were making. 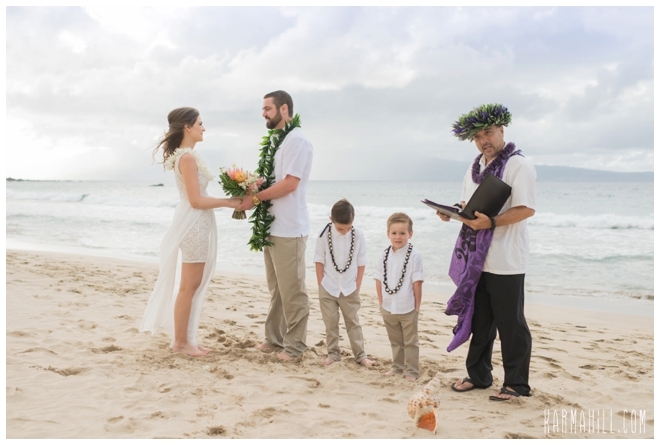 Marriage means being there for one another, even when times are tough. 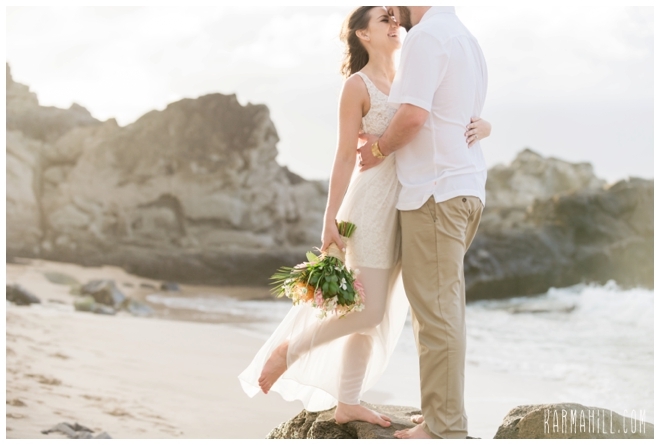 We have no doubts that these two madly in love individuals will support one another, come what may. 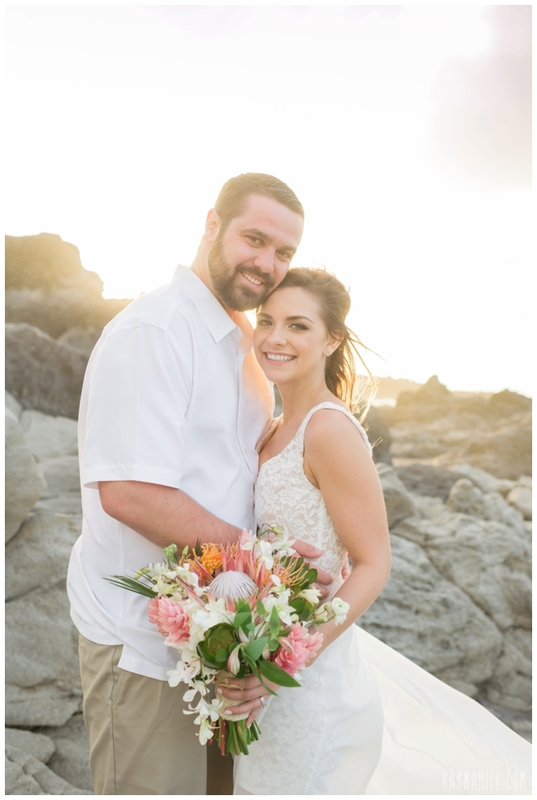 The love and warmth radiating from them was palpable and we are so happy for them. 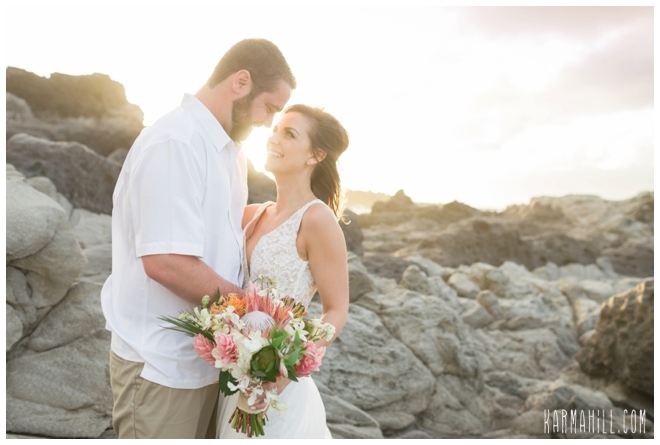 Thank you, Kristen and Cody, for letting our team be a part of your Maui Beach Wedding. 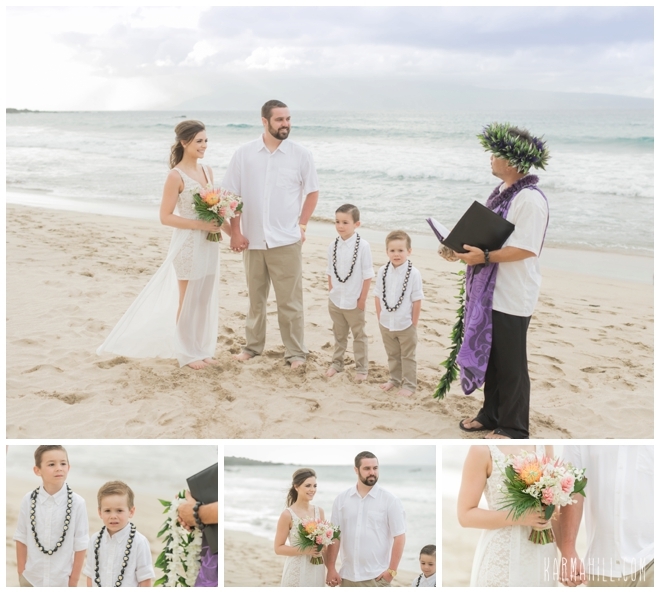 It was our absolute pleasure and we hope to see this beautiful blended family back again soon!!! 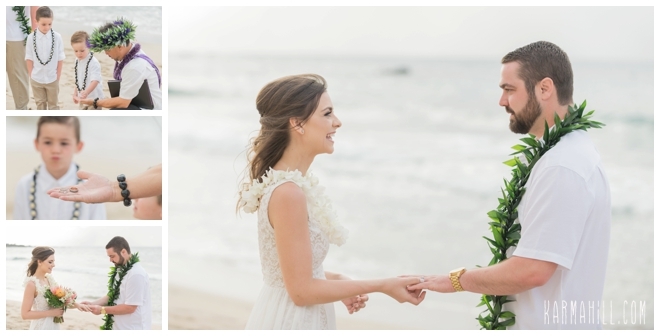 Until then, Congratulations and Warm Aloha!!! 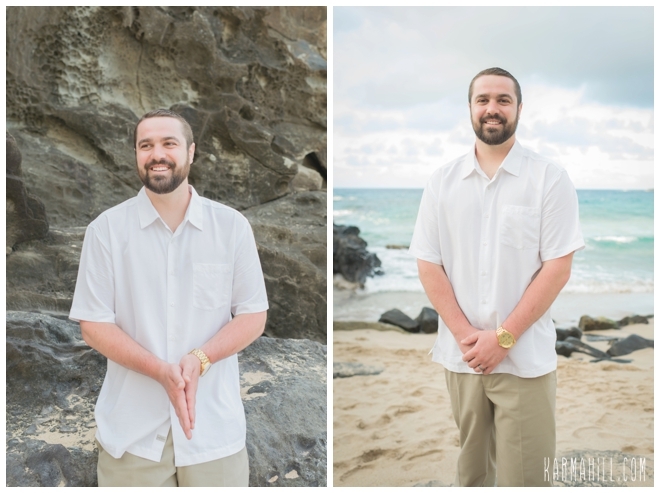 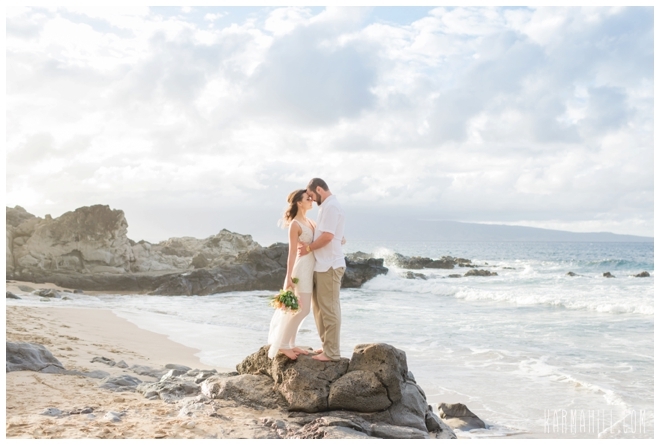 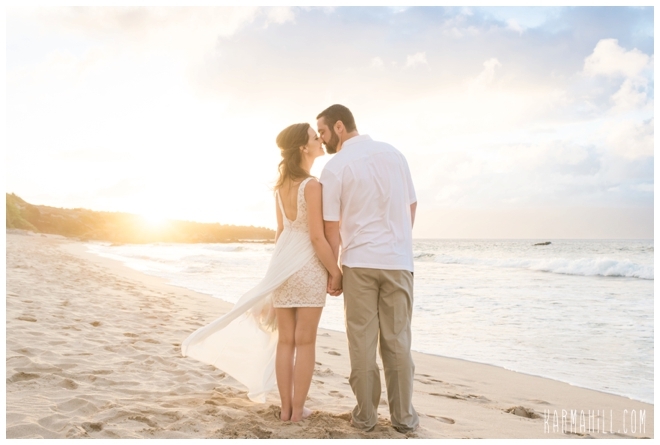 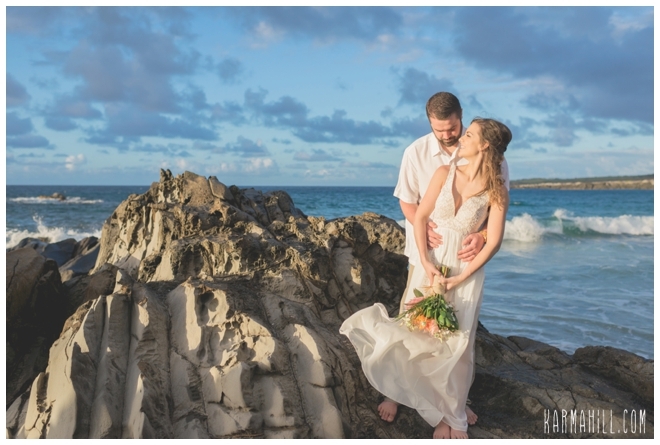 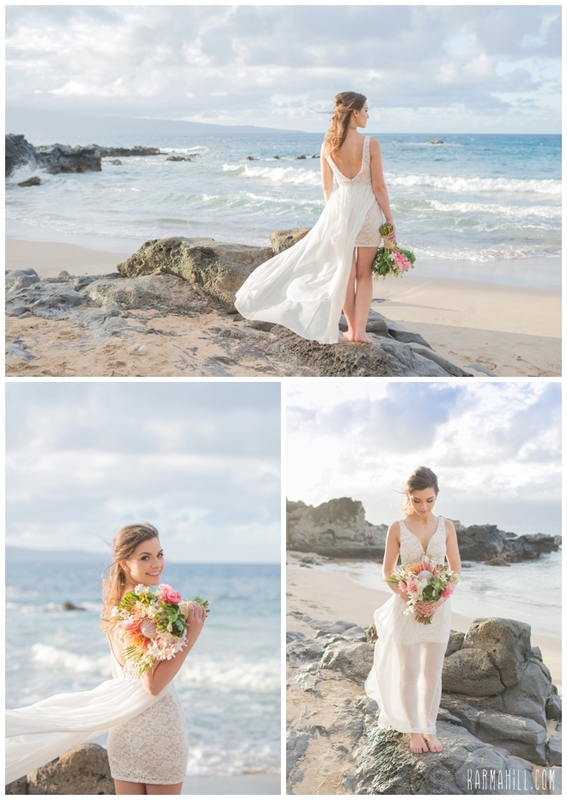 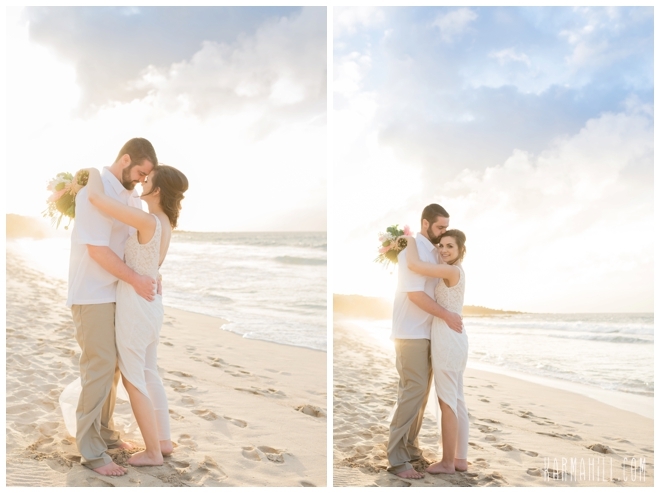 Check out our recent Maui Wedding with Nichole & Jeff!